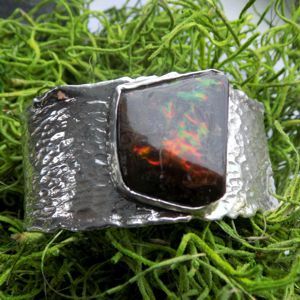 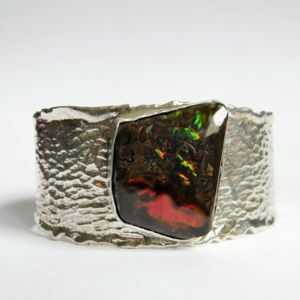 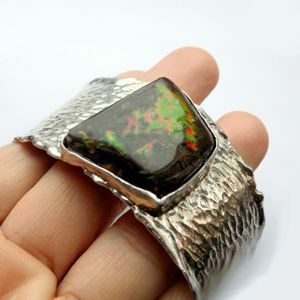 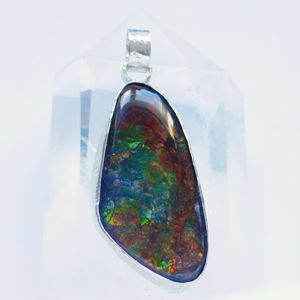 This stunning bangle features a 30 x 25 mm free-shaped Canadian Ammolite. 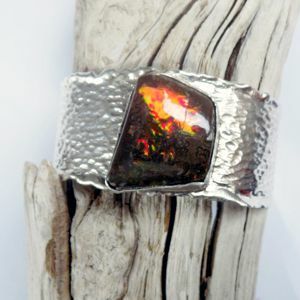 The gem sparkles in shades of orange, green, and yellow. 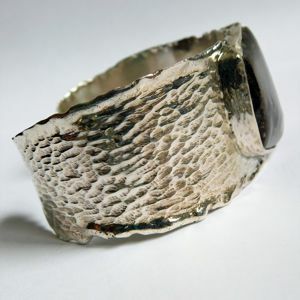 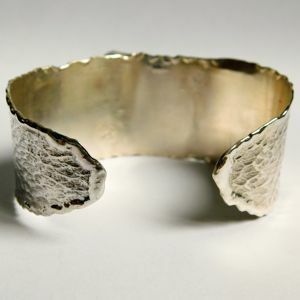 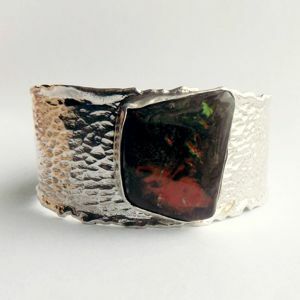 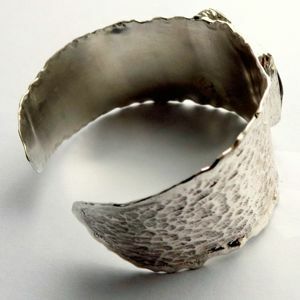 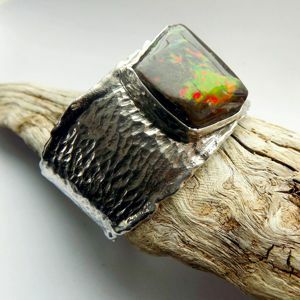 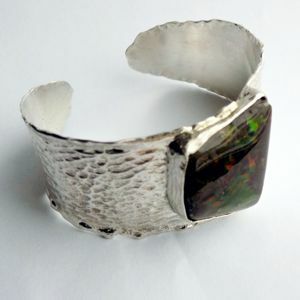 I used 925 Sterling Silver and textured the surface, then I strengthened the bangle by fusing the edges. 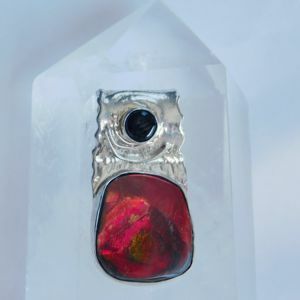 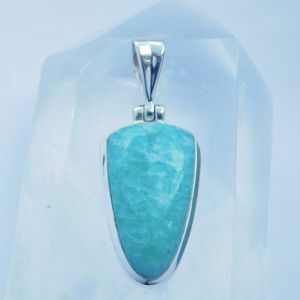 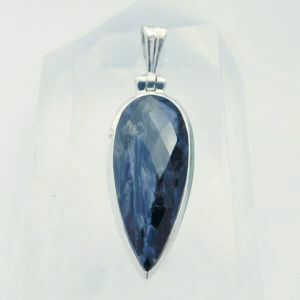 My inspiration was the gemstone itself.